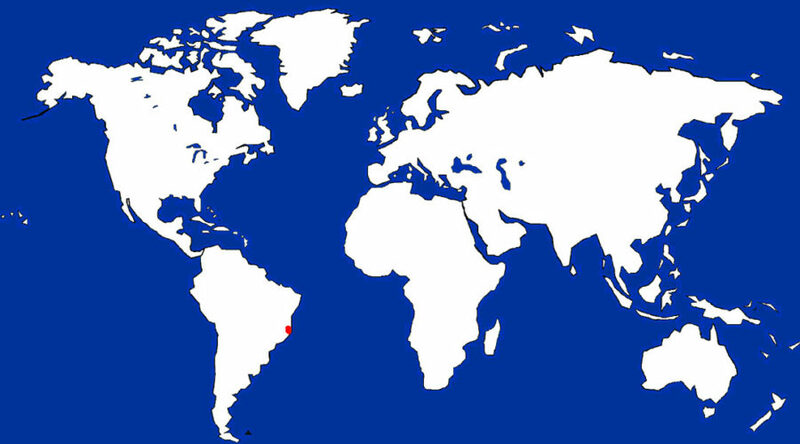 Eastern Brazil in a protected reserve in the state of Rio de Janeiro. These large tamarins are bright orange gold in color with shaggy ‘manes’ around the head (of both sexes). 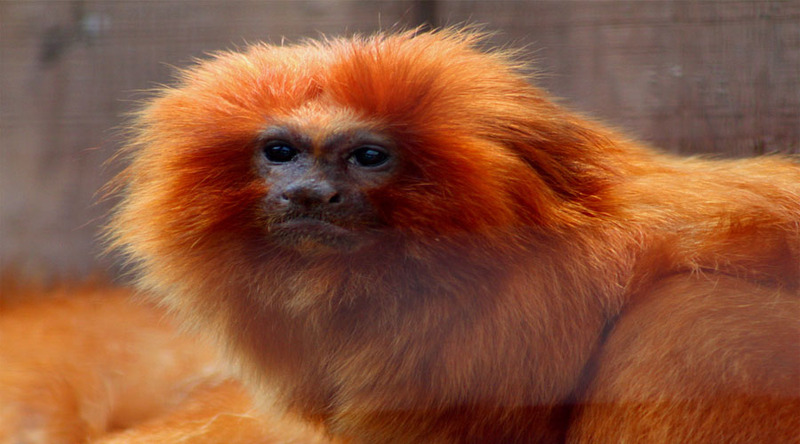 About the Animal: The Golden Lion Tamarin is one of the largest of the marmosets and tamarins, and sadly, one of the rarest. It is easily distinguished from other marmosets and tamarins by its bright orange color and distinctive mane that surrounds its face. This coloring has earned it the nickname ‘king of the new world jungle’. Like all tamarins, this species prefers to live in family groups. These groups spend the days moving through their territories in search of food and invaders. When the day gets too hot, they curl up in the plants that grow on the branches of the massive rainforest trees to relax until the temperatures drop again in the evening. Mating and Reproduction: In a family group of Golden Lion Tamarins, only the dominant female will mate and produce young. The entire family group assists with the raising of offspring. The mother only carries the infants when it is time to nurse. The rest of the time, the father or other group member cares for the infants. Amazing Information: On-going studies of this tamarin have been critical in determining the success of re-introduction efforts. Currently, 1/3 of the wild population is the result of intensive re-introduction and conservation efforts.